1. First, click the link we have provided to display your signature in a browser. 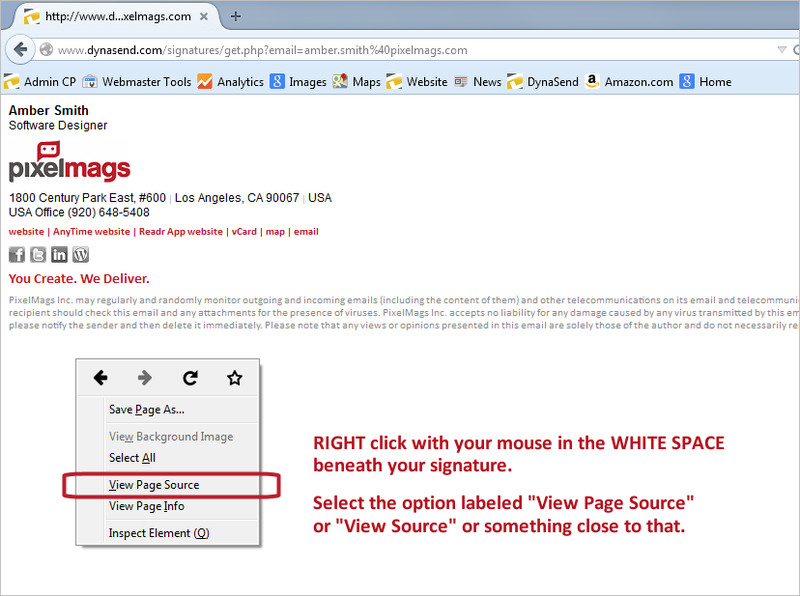 RIGHT click in the WHITE SPACE beneath your signature and select “View Page Source” or “View Source” or something similar to that. 2. You will see the computer code that makes up your signature. 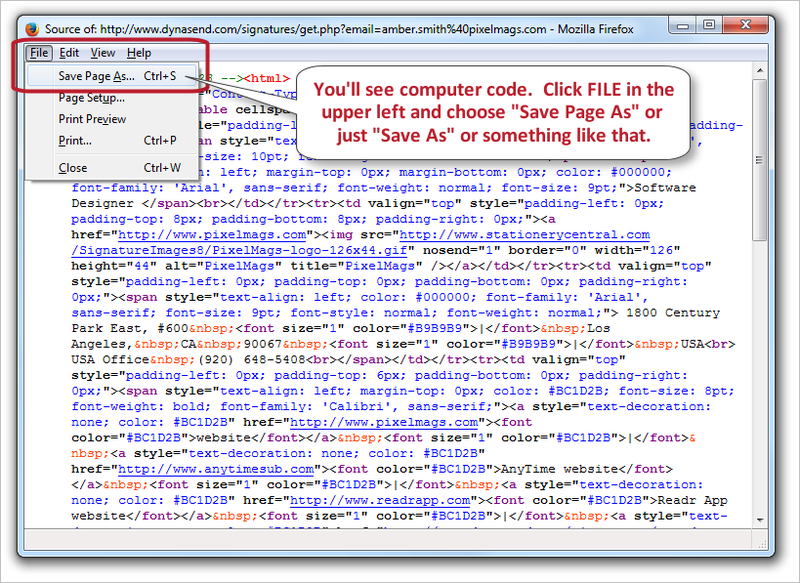 Click FILE in the upper left corner and choose “Save Page As” or “Save As” or something similar to that. 4. Go to your desktop and find the file you just saved. 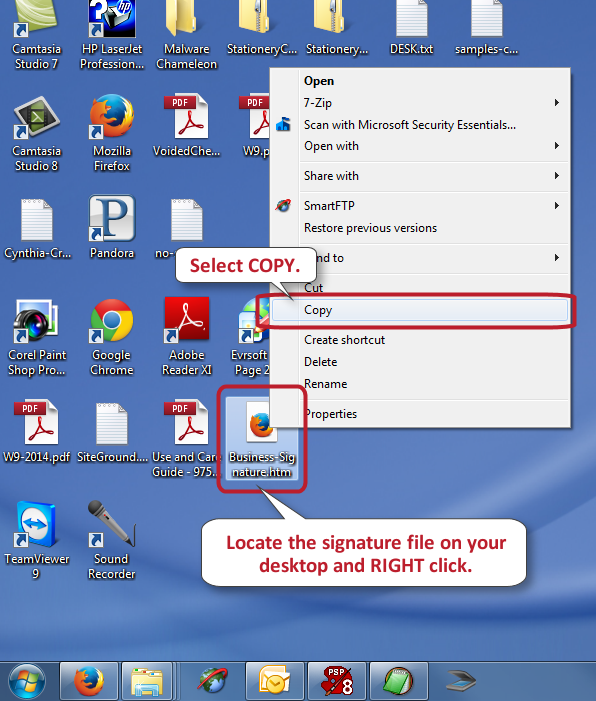 RIGHT click and choose COPY. 6. 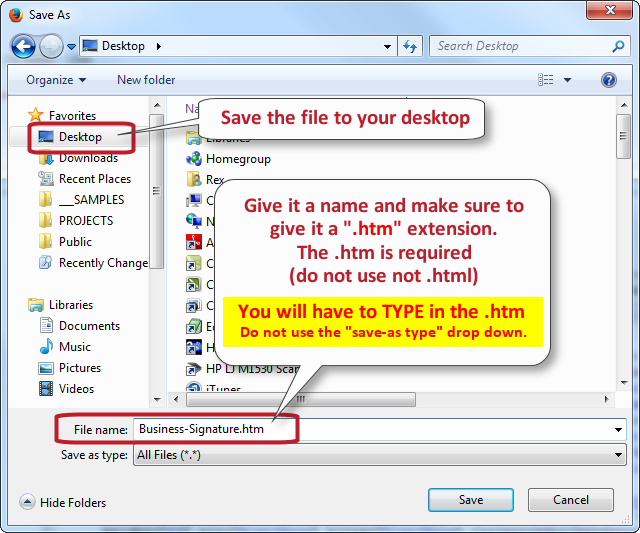 Press “Ctrl-V” or RIGHT click and choose PASTE to paste your signature file into this folder. 8. You’ll now see the signature you just saved in your list of existing signatures. Set this signature as your default signature for new messages and for replies, save your settings and exit the signature dialog. You’re now finished.